Seizure inducing strobe lights are rather difficult for me to avoid. If there’s one thing I’ve learned about myself it’s that if you’re trying to keep me entertained, whether through movie or game, it’s probably best to just go ahead and try to melt my eyes. I’ve always found myself hypnotized by the colorful blur that results from the crazy high speeds in WipEout’s Zone Mode and the majority of the somewhat recent Speed Racer movie. Enter Beat Hazard Ultra. A game that takes its face melting strobe lights, mixes it with an exceptionally solid track list of indie music and creates an over the top twin-stick shooter that’s pretty simple to zone out to. Beat Hazard Ultra at its core is a twin-stick shooter that’s created through your music. Each song used in the game is its own stage. The tempo of each track will effect the strength of your weapon, how many enemies fly into the stage and when. Basic enemies are easy to kill while bosses will require you to take out multiple portions of their ship before they blow up. Your ship carries a simple laser gun that can be upgraded as the song progresses. Grabbing a “Volume” and “Power” boost will upgrade the size and strength of your laser which, when your entire screen is filled with enemy ships, can be a huge life saver. Aside from the laser that your ship has you also have four special abilities at your disposal. A bomb that can be used to clear out most of the enemies on screen, a rather large and deadly laser cannon, a shield to block oncoming attacks and a flurry of tiny homing missiles. Each of these proved to be very useful when things got crazy. Watching a video of Beat Hazard Ultra and seeing the screen filled with flashing lights, waves of enemies and constant explosions might give the impression that things get too hectic. 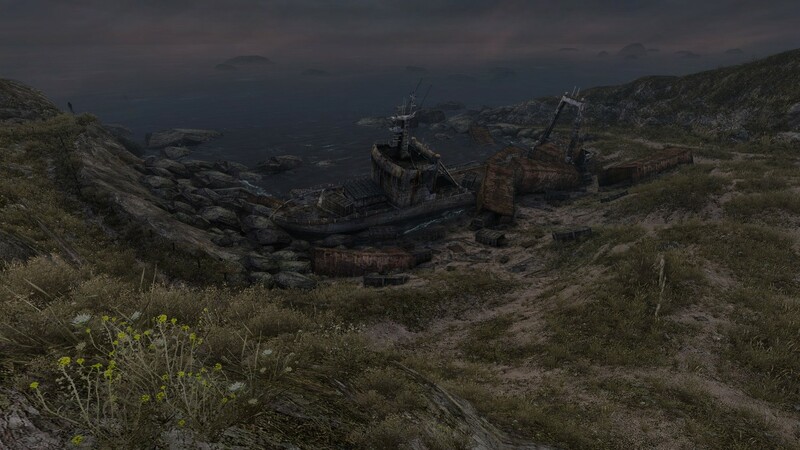 Oddly enough I never really experienced any moment, except in multiplayer, where I lost track of what was going on. After a few songs I trained myself to separate enemy fire, my ship and flashing lights from each other and never had an issue. If I died I always knew why and it was never a case of losing my ship within the insane light show taking place in front of me. In fact more often than not I found myself zoning out and just having tons of fun with the game even when playing on the game’s Suicidal mode. Beyond the Standard mode the game also features Survival, Boss Rush and Chill Out modes. Survival continuously plays random songs for as long as you can stay alive, Boss Rush mode does the same while just sending in boss type enemies and Chill Out gives you infinite lives to just play the game without worry. It’s great to see these three modes in the game but more often than not I found myself sticking with Suicidal difficulty in standard play. The game features online and local multiplayer. You can play co-op or versus in any songs that both players share. (All 23 included within the game and any songs that both players have on their PS3.) Co-op sees both players sharing power-ups and lives while versus is all about getting the highest score. Multiplayer is fun but might be the only time in which I found the game got too hectic. Not only is your final score in each level important when it comes to leaderboards (we’ll talk about that later) but your score also applies to your current rank. As you rank up in Beat Hazard Ultra you unlock a new perk that can be put to use during gameplay. Some perks will grant you extra life, bombs or shields while others rain multipliers throughout the level. Some perks, like the aforementioned multiplier one, take up a limited spot in perks available. Running out of spots isn’t much of an issue though as you’ll be able to buy five extra spots to use. While musical tastes will likely define your feelings on the 23 tracks included within Beat Hazard Ultra I feel that the music featured is perfect for the game. Like Rocketbirds this game made me search around for the artists featured in the game purely because I liked their songs so much. 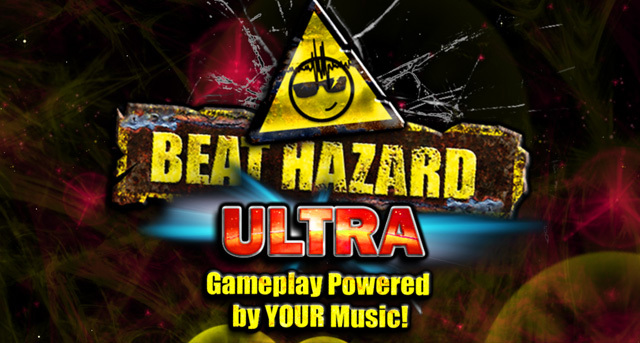 Of course most of the time you’ll be getting from Beat Hazard Ultra is with your own music. With access to any music that’s sitting on your XMB Beat Hazard Ultra loads up the song and creates a level for you. This works great but some people who store a large library of music on their PS3 might run into trouble. The game sorts songs by artist, title, album, score, built-in tracks and percent completed. You’re unable to sort tracks into folders which will cause an issue the more music you have. It’s an inconvenience to the player that seems like an odd oversight. As with any game of this type, leaderboard support is a necessity. Unfortunately, at the moment, the leaderboards for Beat Hazard Ultra are broken. Everytime I selected the leaderboard option from the main menu of the game I had to completely restart the PS3. The developer is aware of this and knows the fix but apparently a patch might still be a ways off which is terribly unfortunate. Beat Hazard Ultra is a fantastic game. It’s one of few games that once I finish writing the review I know that I’ll be right back to playing it non-stop. It’s just unfortunate to see the leaderboards currently broken.